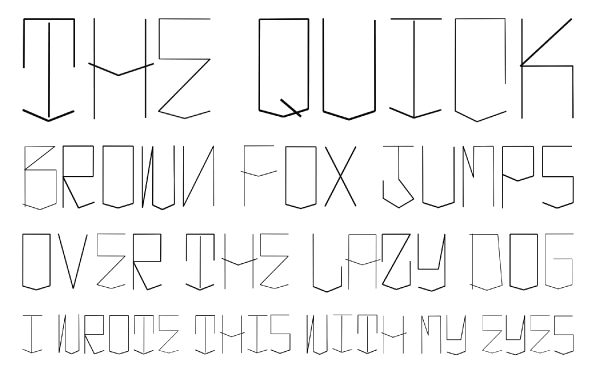 TEMPT1 & EyeWriter = Art by Eyes KickStarter | F.A.T. Over the course of the last year we’ve been developing tools and software in collaboration with an amazing artist, TEMPT1, who suffers from advanced stage ALS. 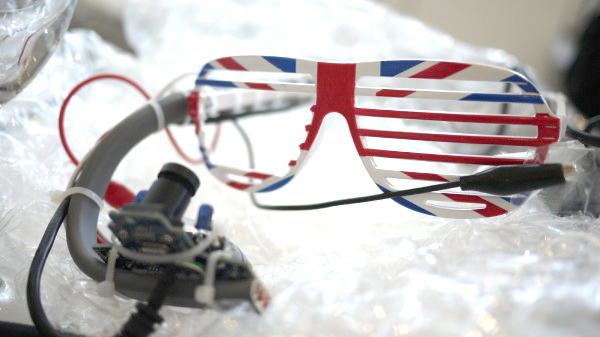 The resulting EyeWriter system is a free and open source DIY project that allows TEMPT1 to make art again by using his eyes for the first time in seven years. 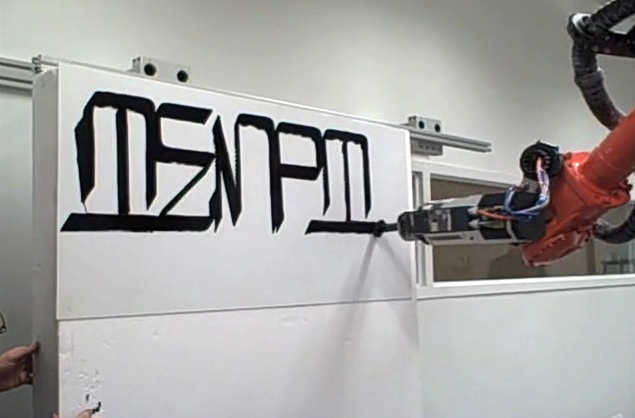 An initial milestone in the project was to see TEMPT1 write his name again. Through Kickstarter we are now trying to help push a second milestone, which is TEMPT1’s return to being able to make a living as an artist. As a part of this initiative he is releasing new archival digital prints, an original type face drawn using the EyeWriter, a screen saver, T-shirts, letter press prints, a special xerox zine about his work and message, and large format robotically drawn eye tags. 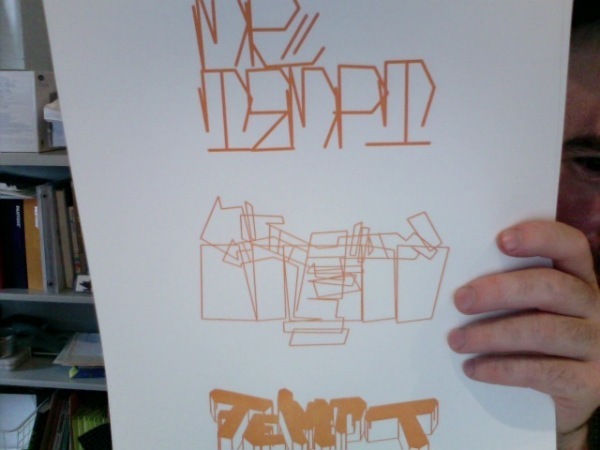 $75 pledge – Limited edition letter press print of original design by TEMPT1 (8″ x 10″, edition of 100). Printed by Paper Jam Press. Includes TEMPT1 Second To None zine. The Eyewriter team is also going to drop a 2.0 version of the device in the very near future that will allow users to do much more than just write graffiti (e.g. type, speak, browse the web) and costs about $100 in parts. This will be a brand new system that will functionally compete with incredibly expensive medical computing devices. Additional proceeds from the Kickstarter campaign will help fund this initiative. To support TEMPT1, the Eyewriter team and to own some great art, please visit eyewriter.org/kickstarter and spread the word. I wrote this with my eyes! !